This growing 8 year old family practice has just under 1,700 patients. 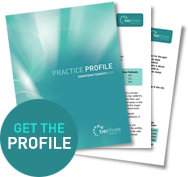 It is an ideal practice for an owner operator who would like to continue to grow with this practice. The vendor who owns the condominium unit may consider selling the property with the practice which should interest the purchaser who would like to be his/her own landlord. The vendor would also consider this a rental unit with a lease to be arranged. The practice which has 4 equipped ops is located in a very busy retail/residential area with lots of free parking. There is upside revenue potential and the practice has a significant number of monthly referrals to specialists. This represents potential revenue to recapture for an owner comfortable offering some of these procedures in-house. The clients of this practice are indicative of the area with 60% speaking Chinese and 5% not able to speak English, most of the staff speak Mandarin and Cantonese.